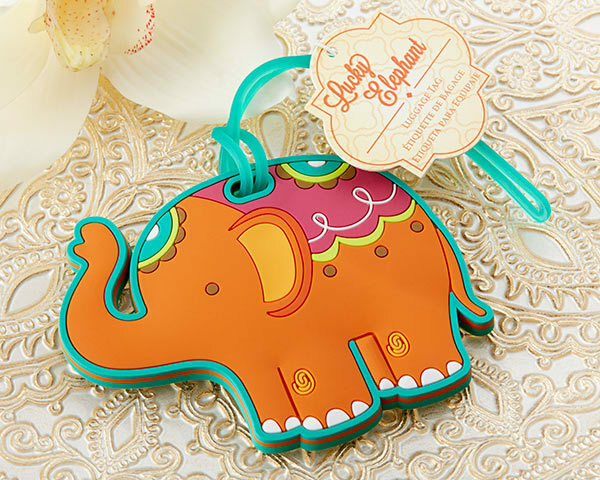 Journey-ready, rubber, elephant luggage tag with 3D details in vibrant jewel tones of sapphire blue, emerald and garnet, white accents and hangtag. Luggage tag measures 3" h x X" 4. Please allow up to 5 business days to fulfill your order; then add ship time from GA.